Keiryu Some weird eyebrow movement you got going on there don't you think buddy? Kentaro thats like me - totally weird. Kentaro thanks. 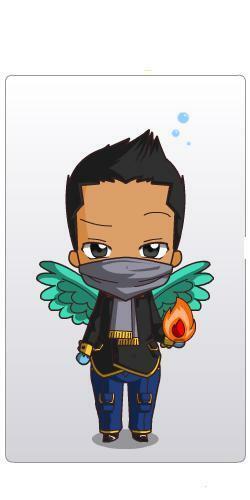 I'll be making more as of blackspears members. maybe yours too! (though i know limited of your looks, i'll try my best! so boring.. wait, i'm gonna upload professor's chibi! Keiryu Yep the Doll it's actually called SimMan in earlier versions. I think i am the only one who actually uses the term Little SimMan.